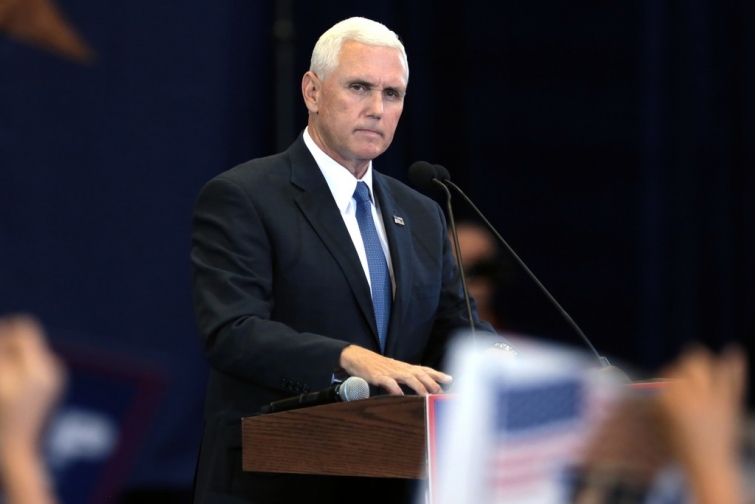 Indiana Governor and Republican vice presidential candidate Mike Pence has urged fellow Americans to stop and pray for the nation at this pivotal time. Speaking at a campaign rally in Newton, Iowa Tuesday, Oct. 11, he informed Iowans, “It’d be a good time to pray for this country, in the next four weeks," reports CNS. “I would encourage you, if you are inclined to do as the Pence family does from time to time, to bow the head and bend the knee,” said Pence. “Pray that America will once again stand tall, stand strong,” said Governor Pence. Now, with the inauguration just two days away, VP-elect Mike Pence has chosen the passage that these iconic comments were based on, 2 Chronicles 7:14, to be open as he places his hand on the scriptures and is sworn in as our new Vice President. Let's pray for him as he takes this courageous step into leadership!